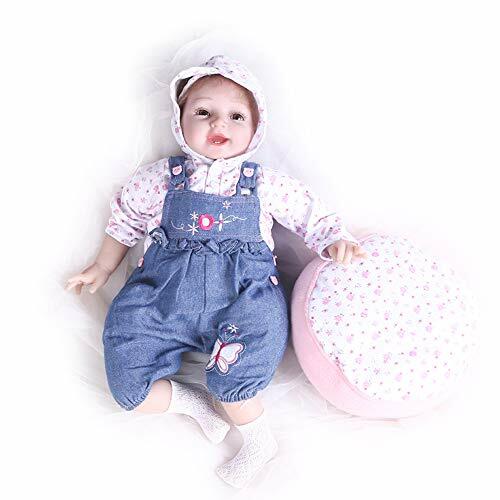 This is a perfect doll art designed by a famous artist.Cute and lifelike reborn doll.Made of high quality Soft Simulation Silicone Vinyl. Comfortable touch.Safe non-toxic, pure environmentally friendly materials. Head,arms and legs are Soft Simulation Silicone Vinyl,body is cloth filled with cotton. Can pose a lot like limbing,sitting and lying.Can not standing.Cloth doll body should not enter into the water. The doll will come with outfits and a magnetic pacifier.It will be a friend of your baby and the one of your family.